Kang Youwei (1858 AD - 1927 AD) was one of the foremost political thinkers and reformist of the late 19th Century Qing Dynasty Era. He was also an ardent (Han Chinese) Nationalist, in many ways opposed to Manchu Rule and advocated, among things, for a constitutional Monarchy as a means to modernize the politics of his time and for steering the Nation onto a path of National salvation. 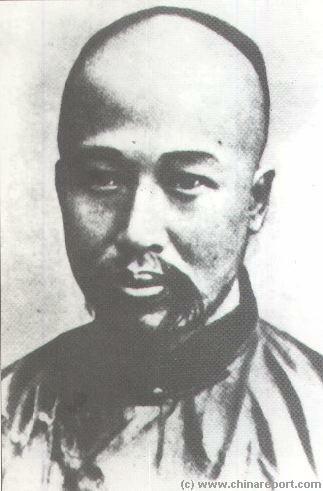 Kang Youwei is known first and foremost for his involvement in petitioning the Guangxu Emperor (1871 AD - 1908 AD) in the year 1898 AD, so initiating the period that has become known as the 100 day reform movement. In so doing Kang almost lost his head when the shortlived reform movement induced by him and his peers and fed with idea's there after, was brutally cut short by intervention of the conservatives within the top of the Manchu Court. In the aftermath of the modernization debacle, the Empress-Dowager Cixi and her clique would admit for a few drastic modernizations in the city of Beijing such as the construction of a railway line, the appearance of street lights and cars and buses, however pending Kang narrowly escaping the executioners blade. Having been too convincing and well heard and popular among the people with his zealous political appeals, Kang was not put to death but ended up under house arrest. Thus, his star having risen and fallen, Kang lived out his life mostly confined to his courtyard home at Mishi (Rice Market Lane) at a stones throw from the Caishikou. He had been a lucky man. Those who opposed the idea's the by then nationally and internationally honored Han Nationalist and political philosopher were to find they were not much luckier than their defeated opponent. The political problems could not be ignored as they were. As a result of the crushing of the reforms and various other added insults, Beijing would erupt into rebellion only two years later during the so called "Boxer Rebellion" of 1900 AD. Some 8 years on the Dynasty would fall under a plot of the power hungry General Yuan Shikai of the Beiping Garrison. The event freed Kang from his seclusion and apparently, offered second chances. Although Kang Youwei's name is hardly ever mentioned in current day Communist Party Propaganda, his contribution to the political modernizations of China leading up to first ever Republic of China are apparently considered worth commemorating today. 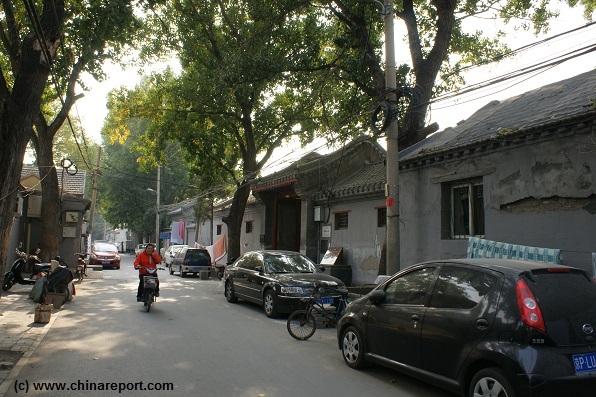 As such, although many hutong and with them former residences of Beijing Celebrities have disappeared, torn down as useless, Mishi Hutong and Kang Youwei Residence survive as a sort of open air museum of what life was like once, not too long ago. The traditional Beijing quadrangle house, the Siheyuan where Kang Youwei, resided still stands and as late as the year 2014 it was still in use as public housing, although it is listed as a Beijing Cultural (and Historical) Relic site. According to Chinese written and printed tour guides concerning Beijing many of which do not even mention the existence of Kang Youwei Former Residence, Kang Youwei lived at this address, No 43 Mishi Hutong, between the year 1882 AD when he moved to Beijing accepting a post at the Qing Court, and the year 1898 AD when the 100 days of reform ended in drama ending the court career of Kang Youwei. What is however left out of the story in its entirety is how Kang Youwei was secluded under house arrest in Beijing. Instead, it is simply told that Kang Youwei, having been the ring leader of the botched reform movement was forced to flee overseas never to return again. This is but half the truth, as mentioned - Kang survived the Dynasty living at Mishi Hutong and remained in Beijing long enough after to be involved in a restoration attempt of the Qing Dynasty in 1917 AD, an inconvenient historic truth that apparently censors have deemed to complicated to explain (away) and therefor omitted. The latest news to be mentioned is that according to publications in the National mouthpiece Xinhua (online version), the residence is to be turned into an official Museum, part of an effort to conserve the last few hutong in the Caishikou area. Additional locations to visit nearby are: Lu Xun Former Residence, Mao Zedong Former Residence (Hunan Guild Hall), Tansitong Former Residence and the Fayuan Temple. At a slightly larger distance but within the Caishikou Area one can find Ox Street Mosque (Niu Jie Libai Si) and Bao Guo Temple and Market. Of the many square kilometers of Hutong in the Xuanwu District and Chongwen District, today only few survive. Tucked away between modern highrises and apartment blocks one can find a few such remaining Hutong in the Caishikou Area. Apart from the Mishi Hutong, there are Nanbajie Hutong and Lanman Hutong where the former homes of Lu Xun and Mao Zedong are situated respectively. Photo: Gate to Lu Xun Caishikou (Former) Residence at Nanbajie Hutong. Although it lies hidden away from plain sight away from any main thoroughfare, the former residence and now museum to Kang Youwei in Beijing is easy to find. of Beijing. As did many other writers, literati, scholars and artists of the time, Kang lived in the Caishikou Area of the current day Xuanwu District of the (old historic) city. At the time Caishikou, it's name translating as "Gate to the Vegetable Market" was indeed a market area. Set between the vegetable market, the Ox Street Market (and Mosque) and the Bao Guo Temple Market as well as a flower market, it was a lively neighborhood surrounded by a vast network of so called Hutong, Beijing's famous ancient alleyways. various dwellers of the Hutong. Kang Youwei lived in his courtyard home along this road during the high point ofhis public career, and one might argue, also during the lowest points of his life. He found himself under strict house-arrest and watch by the Manchu Court for 10 years on end, a time during which he was essentially cut off from the other world. However, surving the Qing Dynasty (1644 AD - 1911 AD) Kang, freed from his shackles, re-emerged again to embroil himself in high level politics. constitutional monarchy. As such, he was an enemy of the new Republic. Finding himself with sufficient political clout, he even launched a failed coup d'état in 1917. Ironically, this time it was Kang Youwei who attempted to save the Emperor and his court, who by the year 1917 still lived in the Forbidden City (now Palace Museum) under the articles of favorable treatment received in return for the abdication of the Emperor in 1908 AD. This time Kang's great goal was to restore the Manchu Dynasty (Monarchy) and by so doing created at least a degree of order out of the chaos that had arisen when the 1st Republic dismally failed in all respects. Although duly noted in history and warm heartedly accepted by the young Emperor Pu Yi in his Beijing Palace and Prison, the attempt was nevertheless a tragic misreading of the political tide and various other circumstances. Although, the first stages of operation saw the success of General Zhang Xun and his queue-wearing Manchu loyalist troops occupying Beijing making a show of the declaration of a restoration of Emperor Puyi on July 1 of 1917, it all went downhill from there. As may have been proven already by the botched self-crowning attempt of General Yuan Shikai, the more powerful player, the nation was by then highly anti-monarchist. In addition, various parties such as the Soviet Union had financed and backed the Republic for their own aims. Within much time, several armies were turned towards Beijing with orders to retake the city and put an end to the restoration. The adolescent Dandy Emperor Pu Yi who had modernized himself along western lines as photographed in front of a Hall in the Forbidden City. 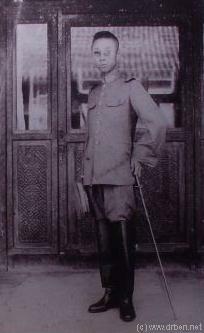 Personal advisor and confident of the Guangxu Emperor Kang Youwei. As with many of the other landmarks in the Caishikou Area of the Xuanwu District, the easiest mode of transportation to your destination is by subway and then by foot. Naturally, it is always possible to hail a taxi, and buzz off to the particular address, but usually that means missing out on most of the other sights to be found along the way. The best way to do Beijing is still to get some walking done in- and around the landmarks of interest. That said, instructions for making ones way to Mishi Hutong and the Kang Youwei Residence Museum are as brief as can be. 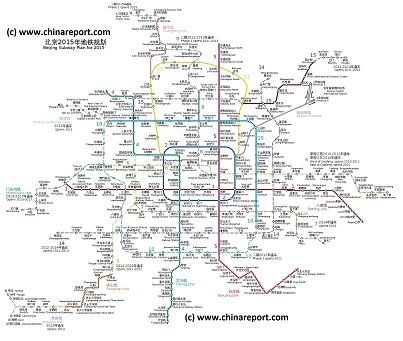 Simply take the subway to Caishikou Station in the Xuanwu District and exit via the south eastern exit. corner of the extremely large and also extremely Caishikou Intersection. leads away. To the south lies Caishikou Street and to complete the image, to the west Guang Anmen Road leads away to pass Ox Street and the Bao Guo Temple on its way to the former Guang Anmen Gate long since transformed into an intersection and crossroads with Beijing's second ring road. In this direction lie various other landmarks of the Caishikou Area. Two routes can be taken to the Kang Youwei Residence. They both lead via Luomashi Street. Mind you, there is NO alternative route via Caishikou Street. To go through Luomashi Street, get to the south west corner of Caishikou intersection and follow Luomashi Road (Boulevard really). Keep an eye on the housing and note a passageway going underneath the wall of appartments at this point. This shortcut passage leads to the north end of Mishi Hutong. From here simply follow the southern direction already taken and find number 43, which is the correct address. In case of not finding or missing the hidden passageway, simply continue east on Luomashi Street and turn southward into the next Hutong which is Guozi Alley (Hutong). This street will curve nearly back around to the west terminating into Mishi Hutong. At this termination point, head north in Mishi Hutong and look for the Kang Youwei museum on your left hand (west side of the alley). Meanwhile, even before the city could be attacked Kang Youwei faced a confidence crisis within the ranks. Although he himself could be considered an idealist of sorts, and thus hardly corruptable, none of that went for the other players in the political arena of the time. Politics was a dangerous game altogether. As the fall of the Qing Dynasty itself had proven, no one could be trusted, often not even family members when it come to a crunch. With General Zhang showing less interest in the political side of the affair than Kang had wished for, he accused Zhang of being insincere constitutionalism and that he was merely using the restoration to become the power behind the throne. Kang subsequently abandoned his mission and was forced to flee to the American Legation (on West Legations Street) for safety from his now numerous political enemies. was the final fall of the Manchu Dynasty, that is, at least within China. According to Wikipedia, Kang's reputation serves as an important barometer for the political attitudes of his time. In the span of less than twenty years, he went from being regarded as an iconoclastic radical to an anachronistic pariah. In Jung Chang's biography of the Empress Dowager, he is depicted as a self-serving zealot who was always seeking personal power above national considerations. In current day Beijing not much has been left of the many Hutong that stood for over a 1000 years. The Mishi Hutong however, and in it the former residence of Kang Youwei still exist. Find them hidden, but easy to find near the Caishikou Subway Station in the Xuanwu District.